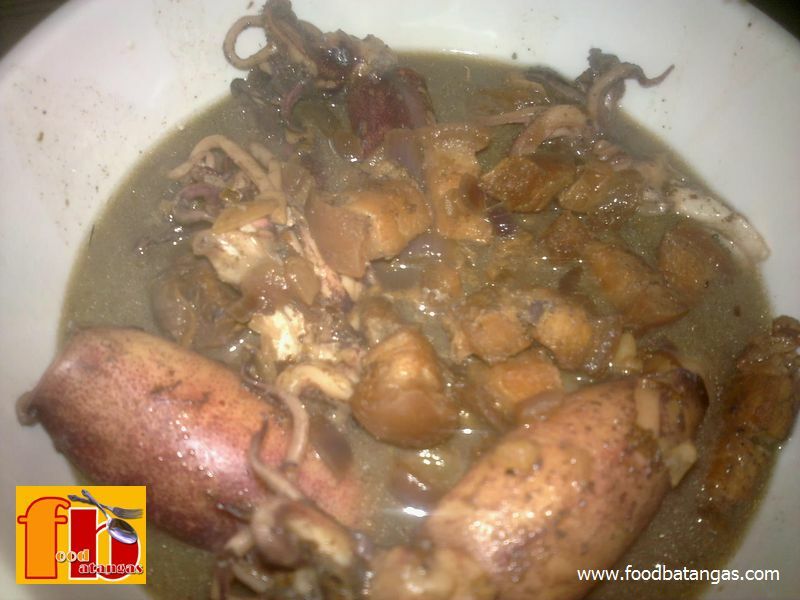 This squid adobo comes with a twist and is probably not quite how your mothers made theirs. It is also probably not as healthy because there is sinful pork belly in what is, traditionally, a seafood delight. Whatever it gives up in healthiness, however, this recipe more than makes up for in taste. It also uses both fish and soy sauce, the former providing the ‘bite’ that soy sauce alone does not quite provide. As with the other recipes so far featured on Food Batangas, this one is remarkably easy and quick to cook. 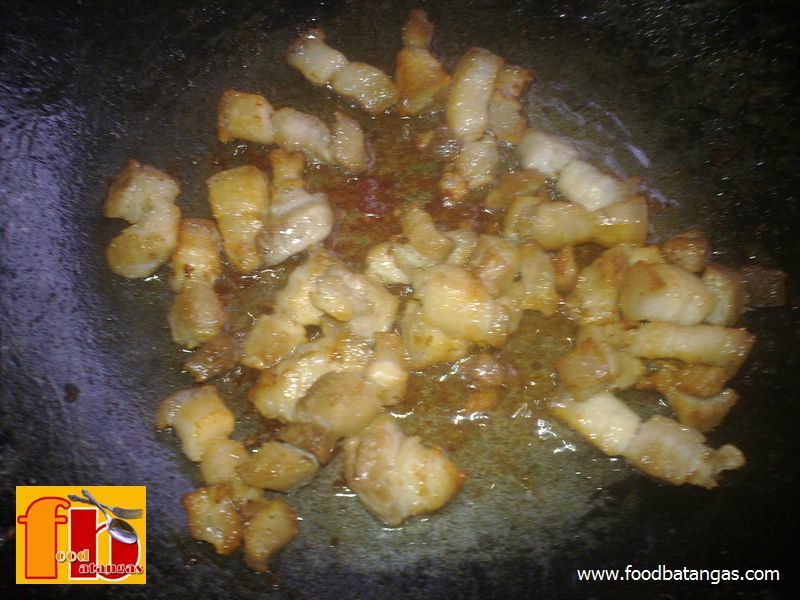 Place liempo in a wok or skillet; add about half a cup of water and bring to a boil. Let the pork simmer in low fire while stirring occasionally until all the water has evaporated. Once the water has evaporated, keep stirring until the lard is extracted from the pork and the pork itself has turned golden and crispy. Set the pork to one side of the wok or skillet and sauté garlic in the hot lard until golden brown. Add the onions and stir occasionally while it cooks. Add the fish sauce and stir everything – including the chunks of pork – together. 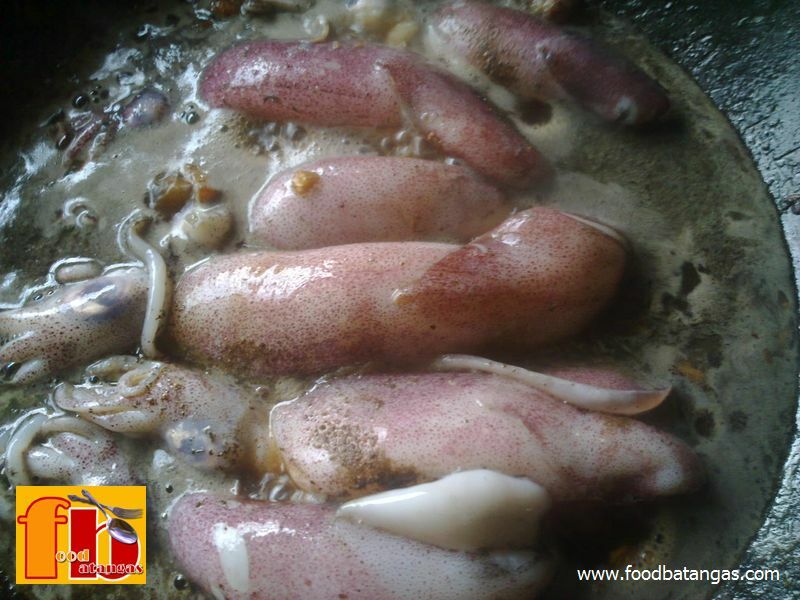 Place the squids in the wok or skillet. Add the vinegar, soy sauce and the ground black pepper along with about cup of water, more if desired but not much more or the taste will be diluted. Bring to a boil and simmer for 10-12 minutes. Do not stir. 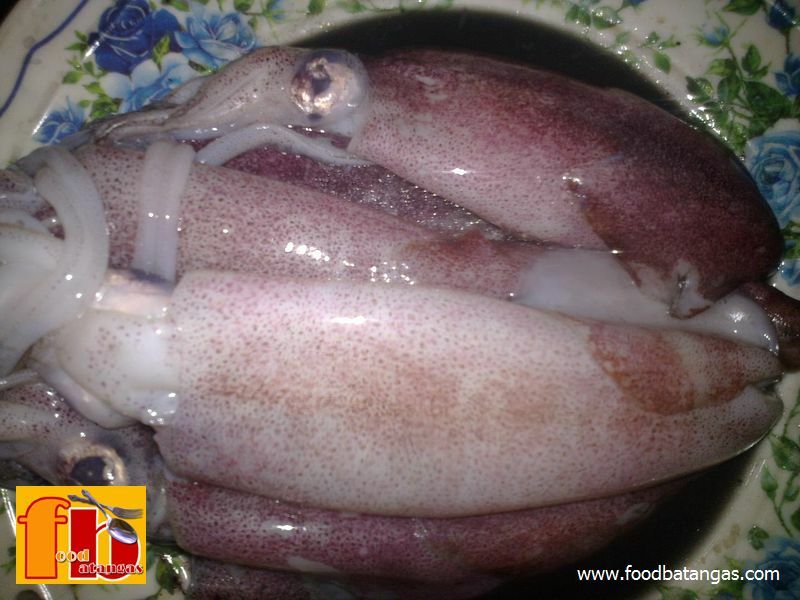 Make sure the squid is not overcooked or it can turn rubbery.